WHAT IS THE VILLAGE OF PROMISE (VOP) COLLECTIVE MENTORING PROGRAM? This is a project of the VOP Health Outreach Program directed by a volunteer Board of Directors. The mission is to positively impact the daily lives of children with incarcerated parents through collective mentoring. The “collective mentoring” concept uses a “Village Model” instead of a one-on-one mentoring model. The Villagers are supported, during a very challenging time in their growth and development, by competent and caring facilitators, who offer age-appropriate, structured activities in a nurturing environment. More than half of parents in state prison provided primary financial support to their minor children before imprisonment. Over 26,000 children in San Diego County have at least one parent incarcerated. A child who has had a parent incarcerated is up to seven times more likely to become involved in the criminal justice system. It costs California an average of $48,214 a year to incarcerate an inmate in state prison. "There wasn't a program like Village of Promise to help my four daughters in school, take them on field trips, and give them a positive outlook on life. My mother raised my children during most of their childhood while I was in prison. She was older and didn't understand most of their homework, so their grades started to fail. Now as adults, two of my daughters suffer from depression, anger, and aggressive behavior from me being absent in their lives growing up. We need programs like the Village of Promise...especially the children." 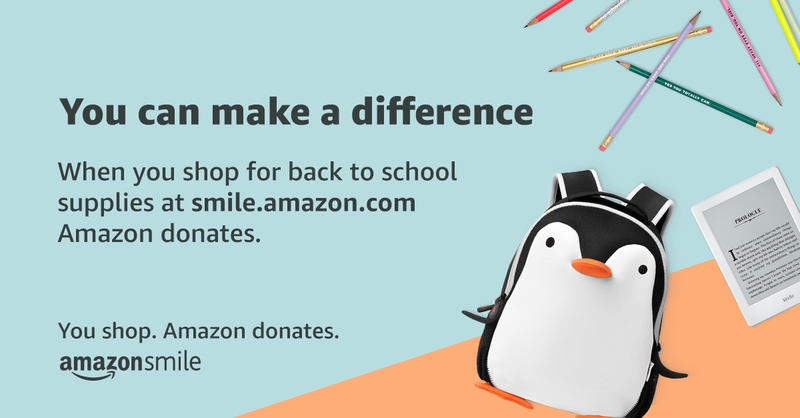 Shop for back to school supplies at http://smile.amazon.com/ch/46-5224477 and Amazon donates to Village of Promise Health Outreach. Save the Date! 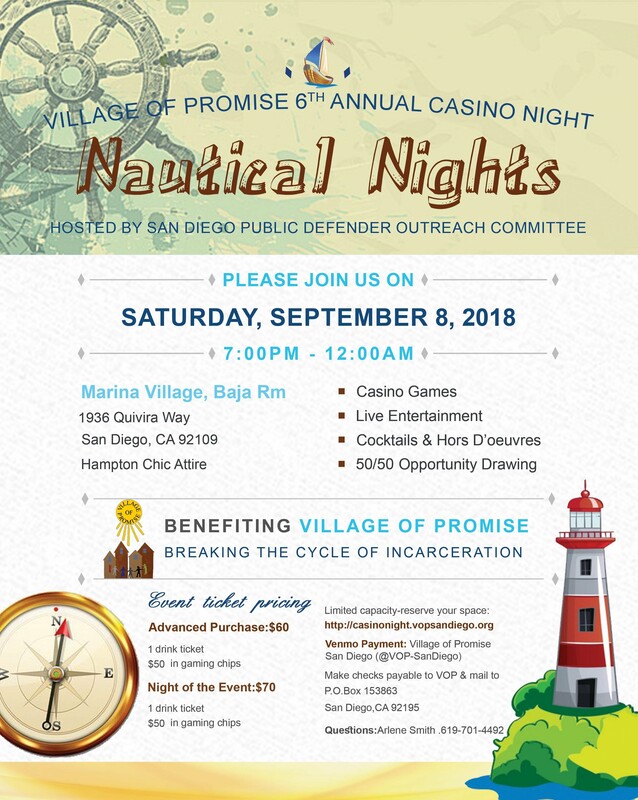 9/8/2018: 6th Annual Casino Night! SAVE THE DATE! 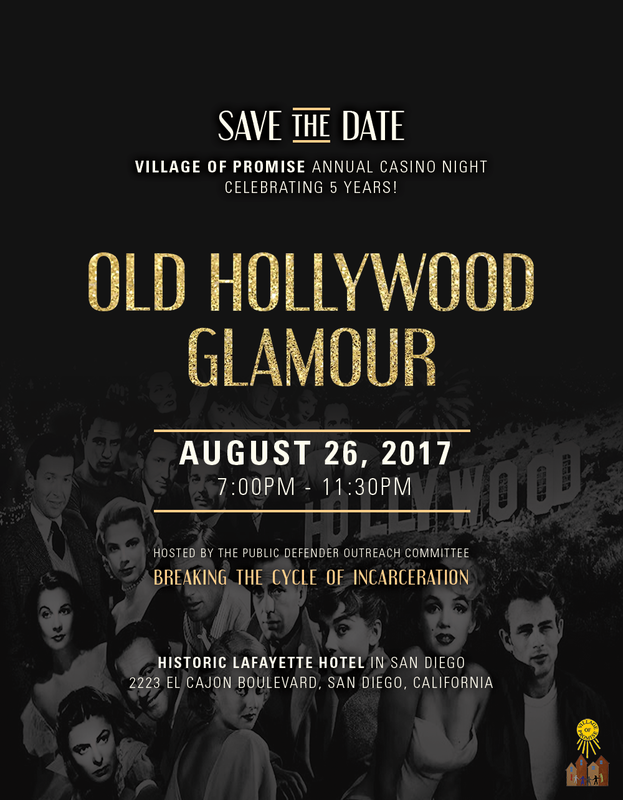 8/26: 5th Annual Casino Night! 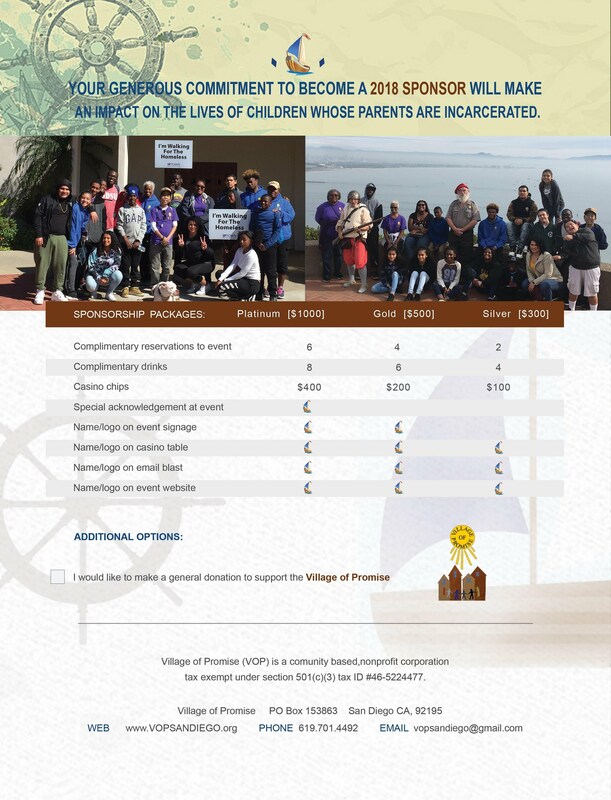 VOP is a community based organization, a non-profit corporation tax exempt under section 501(c)(3) tax ID# 46-5224477.